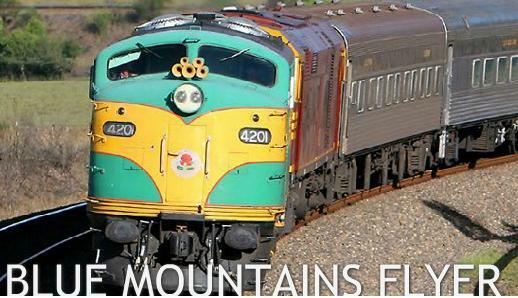 We a pleased to announce that on Saturday, 2nd February 2013, the Blue Mountain Flyer™ will be flying through the suburbs of Sydney and into the foothills of the Blue Mountains. The Blue Mountains Flyer™ is a beatifully restored 1920’s-era compartment carriages. Enjoy the ever changing views by your window as the train meanders through the mountains. The train will be departing from Sydney’s Central Station, Strathfield, Westmead & Penrith. Stop at Leura and be immersed in the 1920’s. Don’t miss the Charleston Challenge, view vintage cars, markets and musical entertainment – all featuring the 1920’s glitz and glamour. Or alternatively step off at Kattomba with so many things to do.